I love this, I want a pair on my back! GOOSE BUMPS! 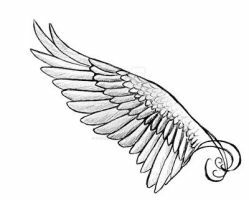 Have not found ANY out there that has the true feeling of an angel wing like this! I am guessing that it was an inspired piece of art. Thanks for sharing! wow, love it, do you have a reference photo you could show please? is it allowed to use it in a photo ? Did you actually use it as a tattoo? 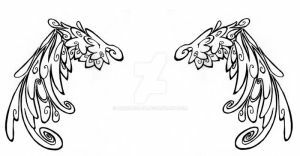 I was just wondering because I'm planning to have wings tattooed on my shoulders and I like your design! beautiful lines! simple, yet great range of tone and shape!